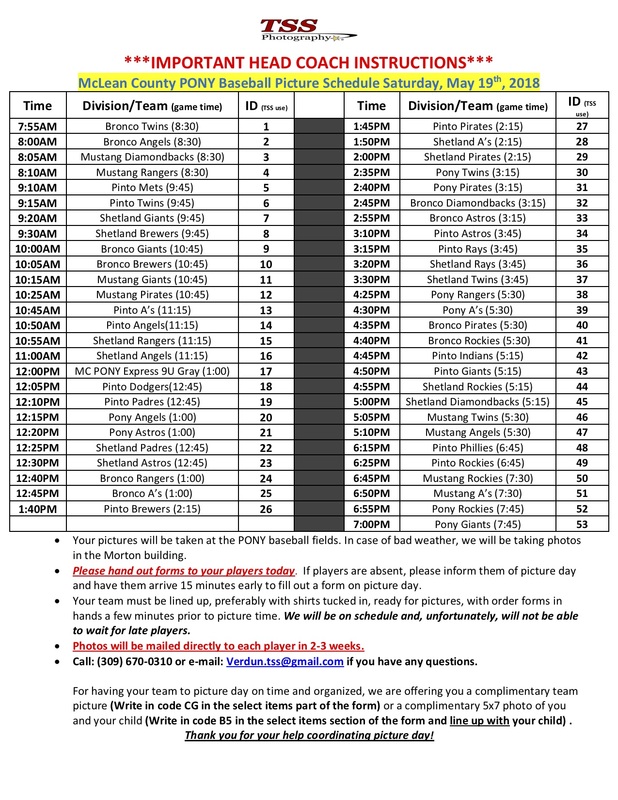 Your pictures will be taken at the PONY baseball fields. In case of rain, we will be taking photos in the Morton building. Order forms will be distributed by your coach. Orders can also be placed online vis the TSS Photography website. 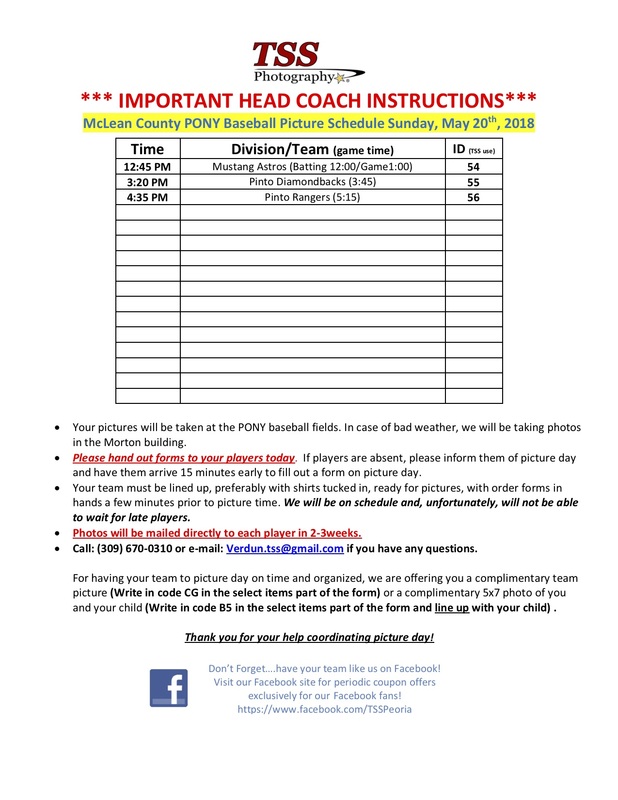 Players should arrive 15 minutes early to fill out a form on picture day. Your team must be lined up (with shirts tucked in) with order forms in hand a few minutes prior to picture time. We will be on schedule and, unfortunately, will not be able to wait for late players. Photos will be mailed directly to each player in about 3 weeks. Call: (309) 670-0310 or e-mail: if you have any questions about your pictures.